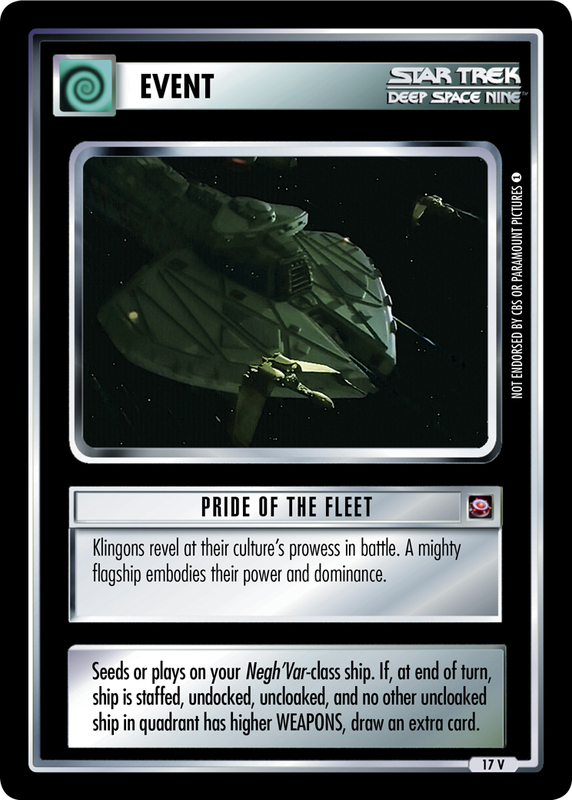 Klingons revel at their culture's prowess in battle. A mighty flagship embodies their power and dominance. Seeds or plays on your Negh'Var-class ship. 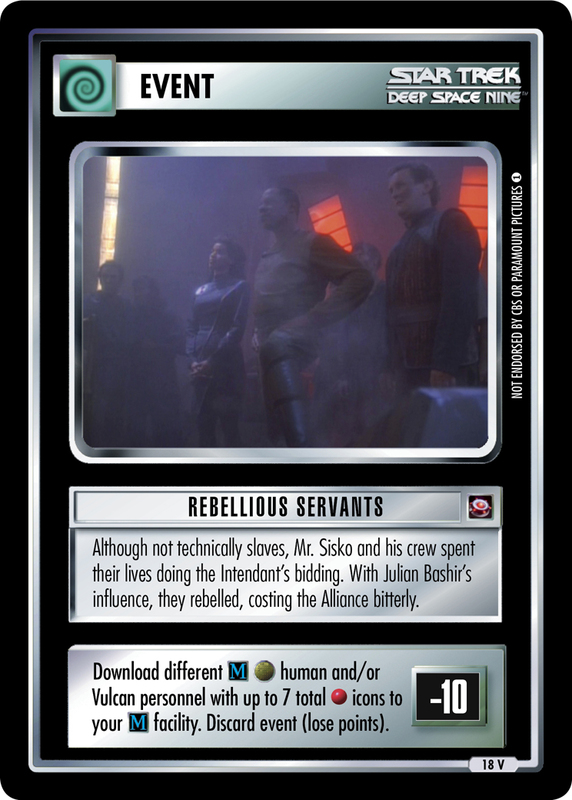 If, at end of turn, ship is staffed, undocked, uncloaked, and no other uncloaked ship in quadrant has higher WEAPONS, draw an extra card.